Every traveler must possess a full valid passport and a tourist visa. You can obtain any type of visa authorization at the Visa and Passport Division of Mongolian Embassies and Diplomatic Missions, as well as Honorary Consulates of Mongolia in your country. In this case, you are required to have 4 copies of passport size photographs and at least 6 months valid passport and to fill visa application forms. One-month valid tourist visa can be extended only one time by 30 days, but multiple entry visas are available and remain valid for a period of 6 months. If there is no Mongolian embassy and you are not able to obtain visa in advance, you can get it at Mongolian borders or at Chinggis Khan airport upon your arrival. 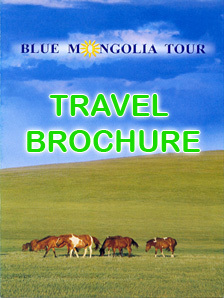 In this case you are required to send to Blue Mongolia agency following things: your passport copy in pdf.format, personal letter with description of unavialability of visa obtain before your arrival, Mongolian tourist visa fee- 50USD for the tourist visa with 30 days validity, fee for express air mail - 30USD and your home/residence address. Blue Mongolia tour Agency will apply to Mongolian Immigration Center behalf of you and agency will recieve a Confirmation Letter for visa issueing upon your arrival, consequently, the original confirmation letter will be sent to you at your postal address. The Tourist should show the official confirmation letter to Air China flight registration officer, when the tourist take the flight to Mongolia. Please, Note that Air china officers will not consider the digital copy of letter as a valid document and you can not take the flight without this document. Then when you arrive at Chinggis Khan Airport, you should show the confirmation letter to Immigration department officer and you will have a mongolian tourist visa without any troubles. Below is list of countries with non-visa requirements for diplomatic and official passport holders.